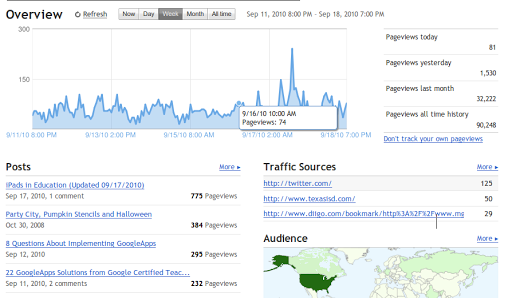 Forgive the navel gazing, but I just discovered the Stats tab on Blogger. I should have noticed it sooner, but, to be honest, it’s over there next to the Monetize tab which I studiously ignore. Amazing to get all that information.